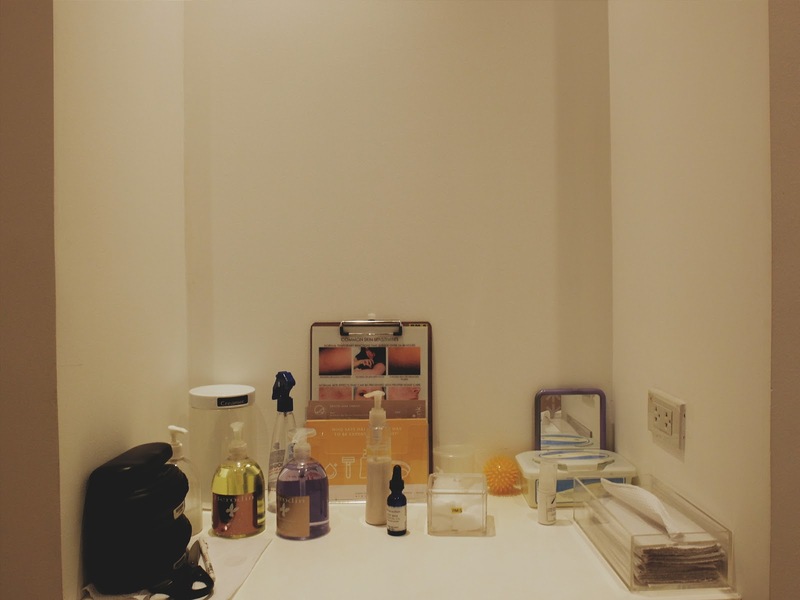 Nowadays, there's a lot of choices when it comes to hair removal: waxing, threading, creams, IPL, etc. 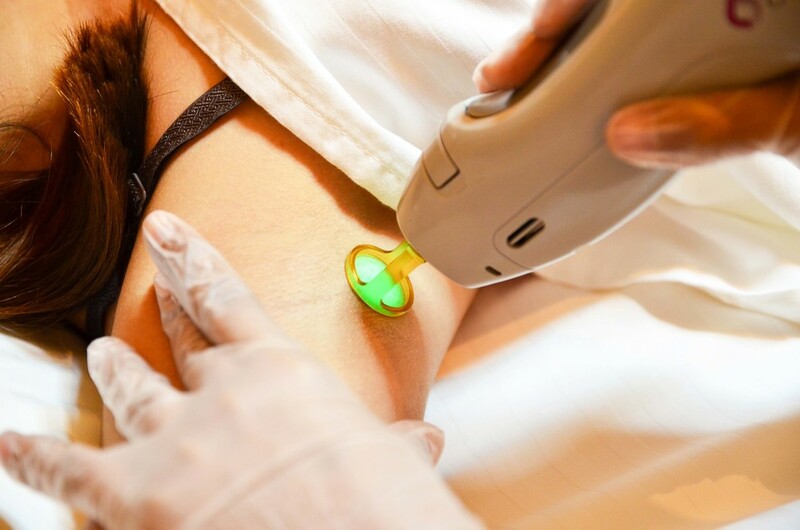 I've been really curious about IPL (intense pulsed light) since it warrants basically hair-free and smoother underarms (or whichever part of your body you want to be hair-free). 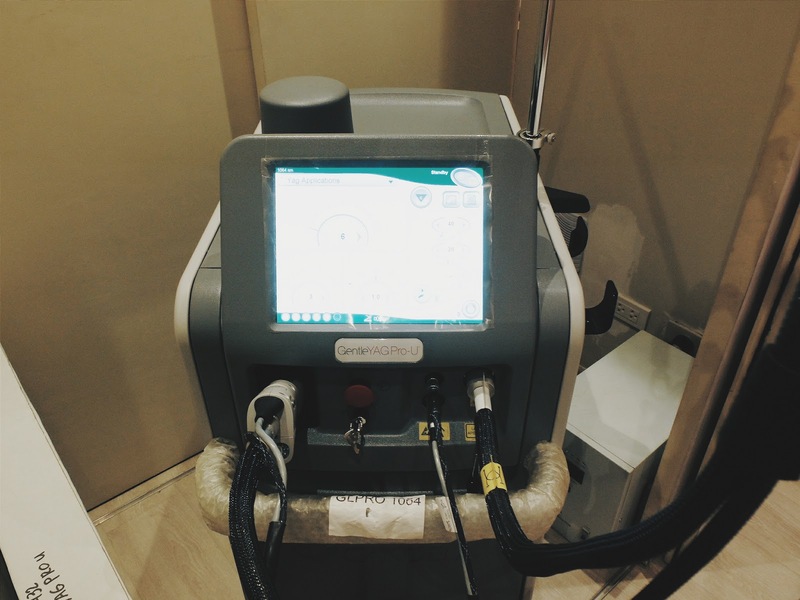 I've been reading about Wink Laser Studio last year and was really curious with their Revlite Laser Therapy but never availed of their services because of lack of time and resources. But I've always been keeping tabs with their latest technology for hair removal and correction of underarm skin tone. Earlier this month, Wink was generous enough to give away free sessions of their newest offering, the Gentlemax Pro Laser. And because I'm not one to shy away from freebies, I joined, and yes, luckily won as well! Of course, I didn't let this opportunity pass. 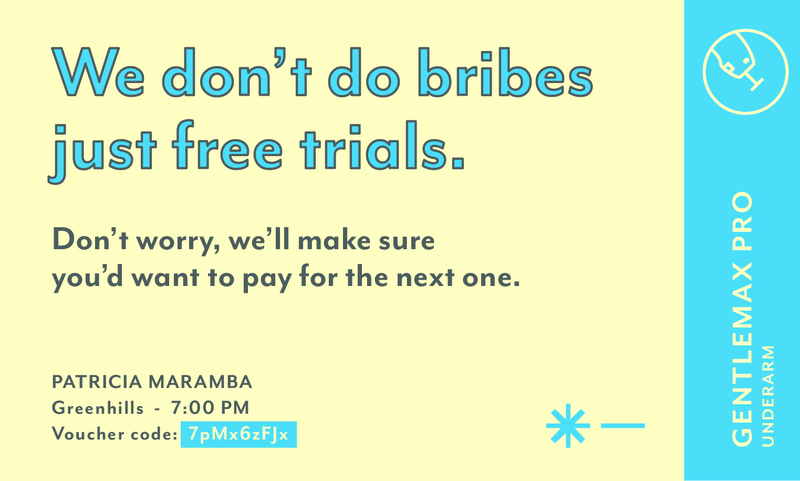 I figured if this does work out, I'd be happy to continue my sessions with them. Ah, how not to fall in love with Wink's interiors. I always have a soft spot for places that have well-thought of designs, and Wink's definitely nailed it on so many aspects. Though the area was small, it was bright and cheery because of the yellow and white theme all over. I really loved their ceiling design! Taking or have taken Isotretinoin (Accutane/Acnotin) within the last 6 months? Taking medications that increase sensitivity to sunlight, or are prone to seizures from light? Have psoriasis, vitiligo, eczema, history of keloids, or bleeding disorders? Have a pacemaker, internal defibrillator, and/or other implanted devices? My answer's all no, so we're all set! I was a bit nervous prior to going here because I don't know what to expect but she made me feel comfortable! She was able to answer all my questions and we were laughing and joking while going over everything! Wink’s Gentlemax Pro Laser is the newest, most powerful laser hair removal system for permanent hair removal today. A dual-wavelength platform, the Gentlemax Pro uses a 755-nm Alexandrite laser and a 1064-nm Nd:YAG laser to safely treat all skin types. Its instantly adjustable spot sizes of up to 24 mm make Gentlemax Pro an ideal treatment for those looking for quicker treatments with more flexibility. No cooling gel is applied, which allows for an easy, fuss-free treatment. Unwanted hair is shaved and the skin is wiped clean. I had some hair growth in my pits, which they said was okay and they did the shaving for me. 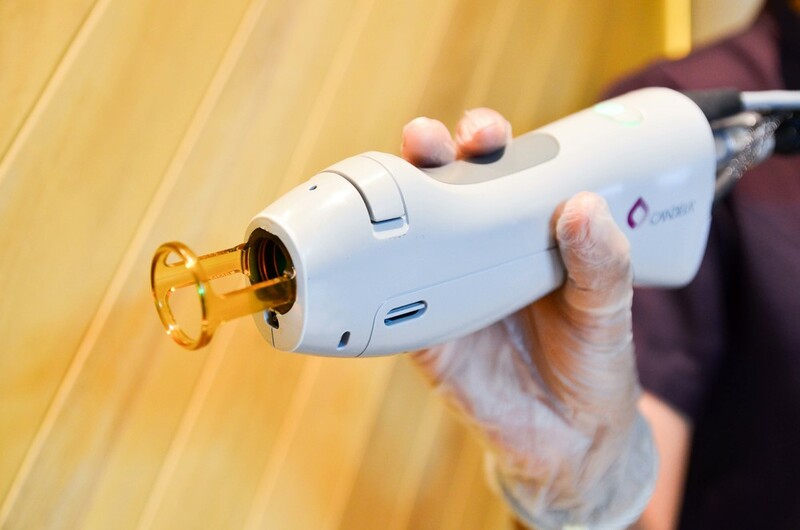 The handpiece is applied to the skin in a “stamping” motion, emitting quick laser and coolant spray pulses to the desired treatment area. I was given a pair of goggles as sort of protection and Gibee was talking to me throughout the entire process since I have no idea what's happening. Coolant spray is wiped off, and soothing cream is applied. My session took around 10 minutes! That's it! From their website: It is often described to be similar to the snap of a rubber band. This discomfort subsides quickly and is minimized by quick bursts of coolant spray (cryogen). Personal experience: I actually didn't feel any discomfort at all. I guess it depends on one's pain threshold, but as for me, it was manageable and there were no aches or pains. Mild redness and swelling are common and normal temporary reactions. You may feel some 'regrowth' after, or hair stubble, which is actually the lasered hair being pushed out of the hair shaft. Lasered hair should fall out within 2-4 weeks. You unwanted hair thinning out permanently, finally! Since it's armpit hair, it was suggested to me to have this procedure every 4-6 weeks. My next appointment with them is on the 31st of July. On average, it takes 6-12 sessions to achieve at least 80% reduction. 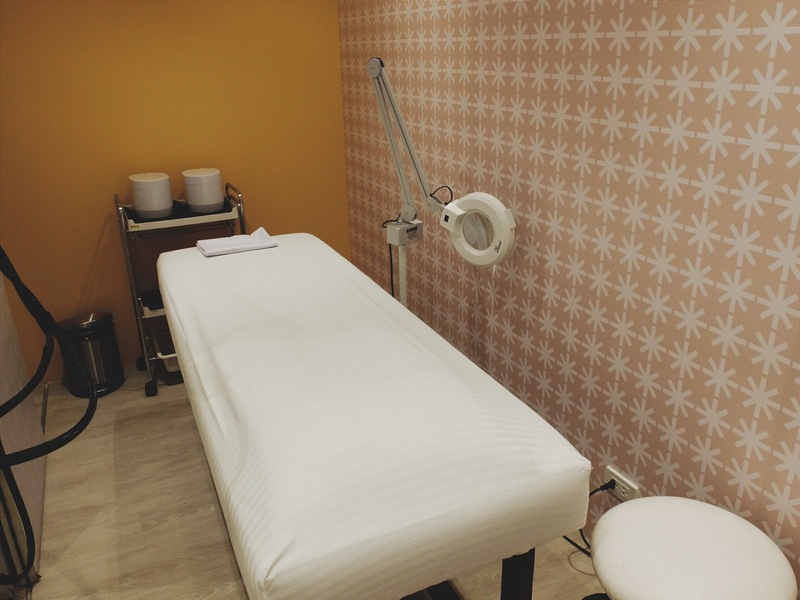 Note that the number of sessions may vary, depending on hair characteristics, consistency of treatment, age, gender, medications taken, and/or pre-existing hormonal conditions. UPDATE: One week after the treatment, true enough, hair stubble began to appear. There was noticeable reduction in hair regrowth (yay!) and I'm still waiting for it to fall off as advised to me before I head back for another session. (I will update this blog post as I go along the treatment.) 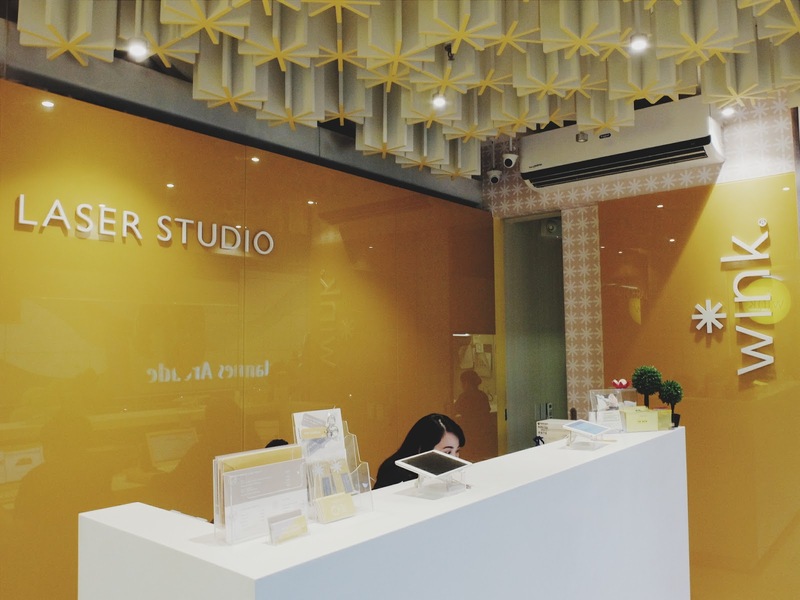 Overall, I was extremely impressed by Wink Laser Studio's treatment of their customers. They even reminded me a day before thru SMS of my appointment! They really know how to take care of their patrons. Extremely satisfied!